An historic event hosted by former Asbury Park Mayor Ed Johnson will take place later this year when he and Southside Johnny and the Asbury Jukes fly to Cuba where the popular rock ‘n roll band will perform at the Havana International Jazz Festival. 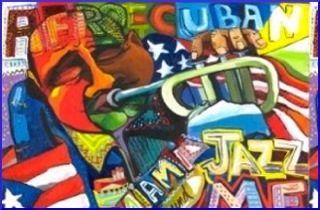 It is the first time an American rock and roll band will perform in Cuba. And Johnson hopes it is the beginning of a long and successful relationship with Cuba. Earlier this year the United States lifted restrictions on travel to Cuba. Federal officials said it sets a path for promoting personal freedom in one of the few remaining communist nations. American policy toward Cuba has been frozen since 1962. The trip runs from Dec. 17 to 22. In addition to participating in the jazz festival, the group will visit performing arts venues and educational institutions to observe education programs and performances of both artists and school children. Beverly Beverage of Jersey Shore PR Agency, who worked with Johnson on the ambitious program, said she believes this is just the beginning of sharing with our neighbors in Cuba. Beveridge said she is looking forward to meeting the Cuban people, one by one, and also dining on the dining on Cuban food and taking in the beautiful architecture. The last day of the trip will feature a Mayor’s Ball reunion gala celebration. The last mayor ball in Asbury Park was in 2013 when Johnson was mayor. Members of the public are invited to participate in the trip. The jet leaves from Atlantic City Dec. 17. There three all inclusive packages available but seats are limited. All prices are per person based on double occupancy. Requeted singles add $350 to the price. Tour Level 4 Star Hotel Accommodations w/ features listed below. For information and booking call Sandy Lay 786-532-1751.